If you want to advertise in our magazine or website, please call 526541-50 loc. 218 or 5263802. 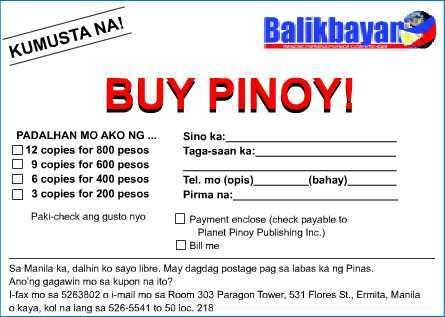 You can also e-mail your query to balikbayan_magazine@hotmail.com. Thank you.